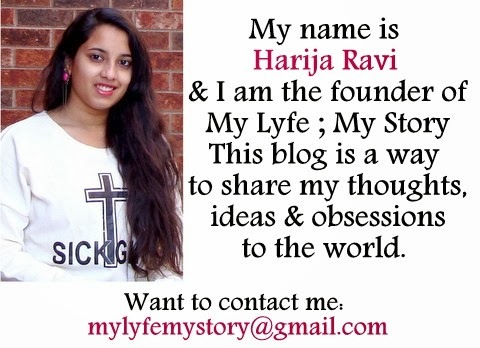 After a long time, this is actually a product review! From the circle lenses website called Pinky Paradise. I did indeed conduct a product review on this website during March, but once again I was contact by the company to tr out of their new lenses called Vassen Rainbow Eyes. So, here is my review on them! 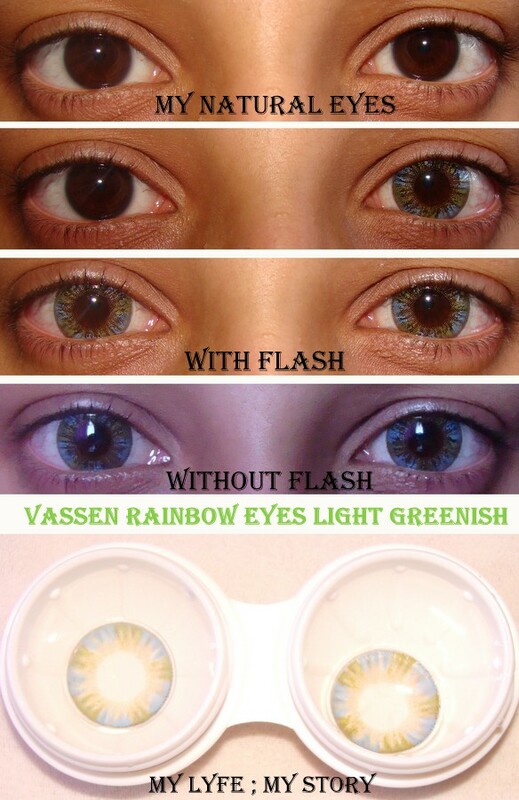 For the product review I chose the do a review on (Vassen Rainbow Eyes Light Greenish) Contact Lenses. Usually wearing contact lenses is part of my daily routine, but instead of wearing coloured lenses I usually stick to clear. However, after giving Vassen Rainbow Eyes Light Greenish I decided to change my mind and I definitely can't wait to rock these lenses with my back to school routine. To be frank, I have never been a fan of mixing colouring when it comes to lenses. Since my mind usually give me a negative vibe about the overall out come. But thanks to Pinky Paradise I ended up taking a small risk by choosing this coloured lenses. 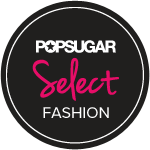 Overall, The colour is so settled in normal lighting and that's perfect for daily wear. The lenses are really comfortable and they doesn't dry out fast like my regular contact lenses. Plus, it comes with a cute animal case. Furthermore, I would recommend this company and this Vassen Rainbow Eyes Light Greenish contact lenses to everyone, since I am happy customer. 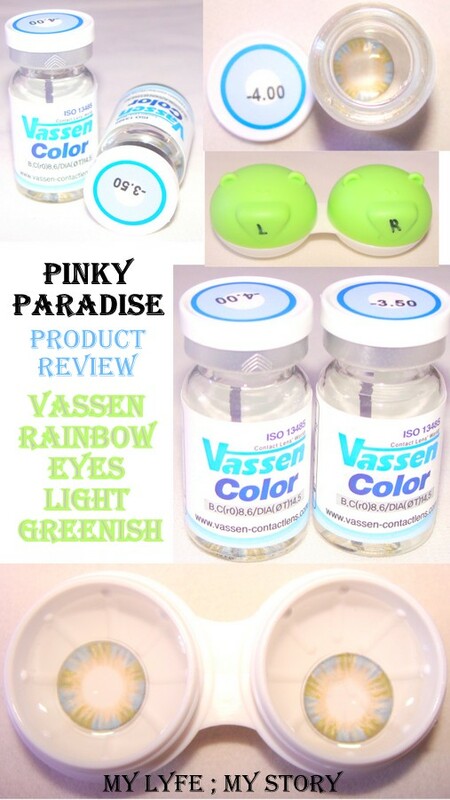 FTC: Pinky Paradise sponsored the (Vassen Rainbow Eyes Light Greenish) for my honest review. I was not compensated to make this entry and this is 100% my honest opinion.